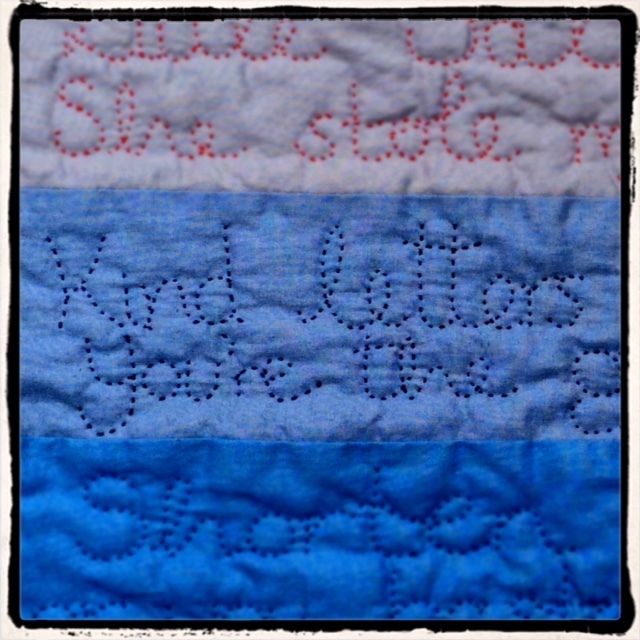 The Shanty Quilt Part Three – Letters Home – is there room for me to sew? Swansea Town is probably my favourite sea song. It is related to an Irish folk song called The Holy Ground and is sometime known as The Lass of Swansea Town. As with many traditional sea songs and shanties there are variations in lyrics; sometimes the song is dedicated to Lovely Nancy and at other times to Lovely Dinah, the locations cited differ, and in some versions there is a storm that evokes the ever-present fear of the sea’s power. 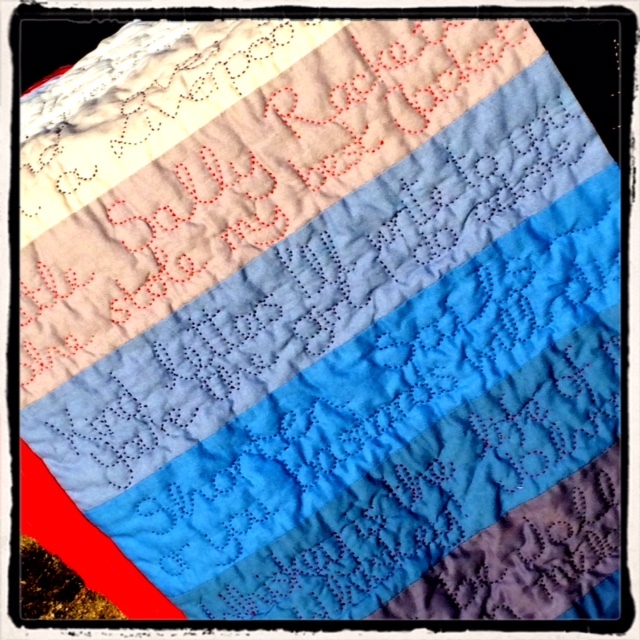 In 1985, it was included in the now sadly discontinued BBC radio programme for schools, Singing Together and is now featured in the section of my Shanty Quilt that represents life at sea. Kind letters I will write to you / Of the secrets of my mind. / Of the secrets of my mind, fine girl! / You’re the girl I do adore / But still I live in hope to see old Swansea Town once more. Two days later, Nelson was dead. His letter was found amongst the papers on his desk, and was brought back to England and delivered to Emma by his friend Captain Hardy. It is now in the collection of the British Library. 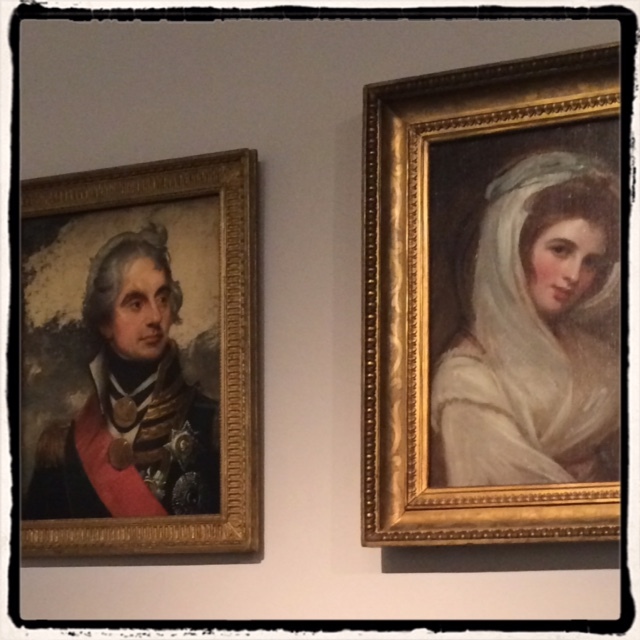 To find out more, I have been reading two interesting books: Voices from the Battle of Trafalgar by Peter Warwick (David & Charles, 2005); and Trafalgar: The Biography of a Battle by Roy Adkins (Little, Brown 2004). From these books I have learned about three letters home from men who were in positions of command at the battle. These letters must have been so precious to their recipients. From news of battle to the death of a national hero; from a determination to appear brave to breaking the sad news of a death; all these letters show the “secrets of the minds” of their writers. 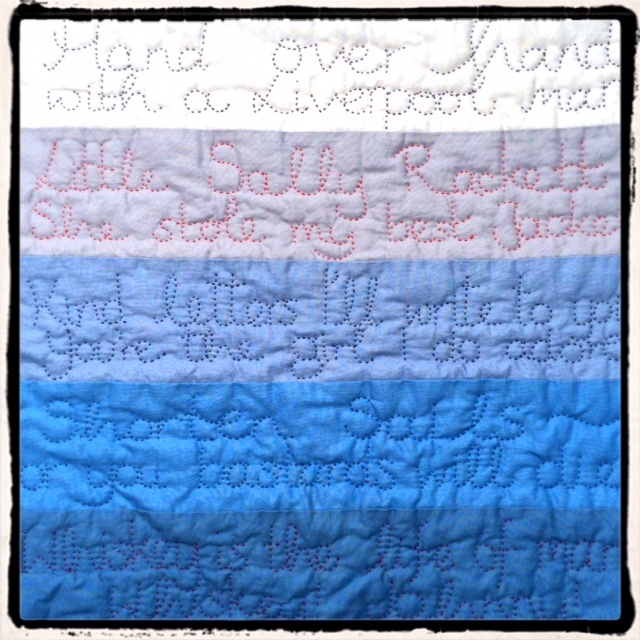 I’m glad the Shanty Quilt has prompted me to find out a little about them, and I hope to find out more as the project progresses.